- External transformer for easy control. - Quartz glass tube, high light transmittance. - This sterilizer lamp can be matched or connected with different pumps. 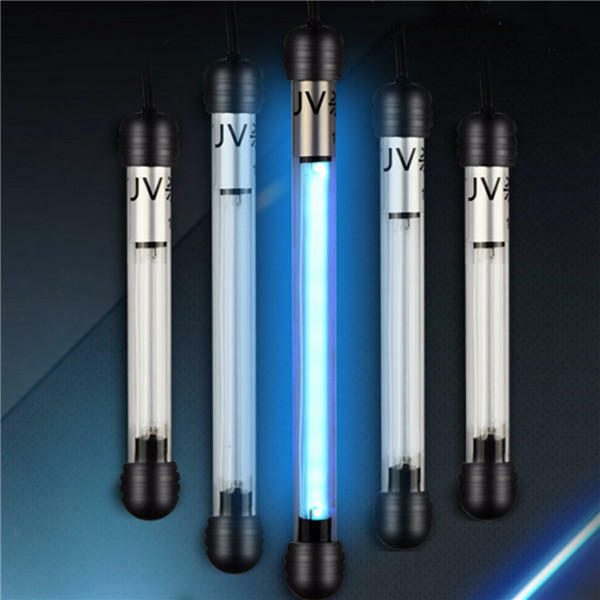 - UV lamp with strong effect of sterilization, ultraviolet ray transmitting rate of more than 90%. * Use the UV lamp less than 8 hours a day, 3-4 times a week, should not be too long or a whole day long irradiation. * The power cord can not be cut, and the power supply of the bactericidal lamp can not be connected in parallel. 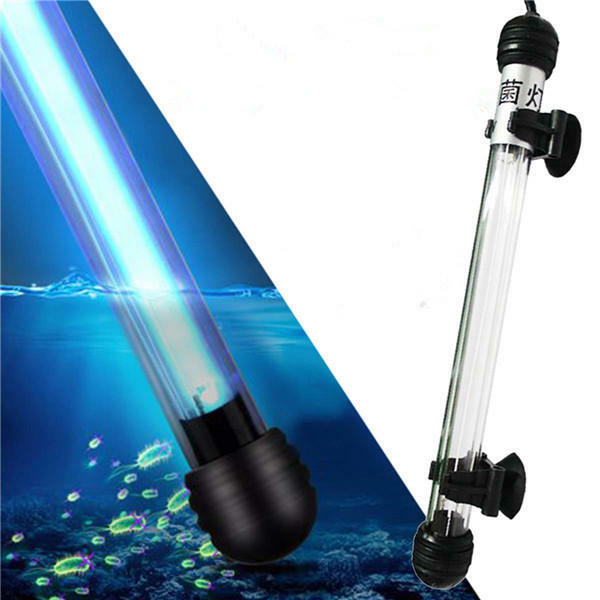 * Sterilization lamp can Only be placed in the Filter Tank, can Not be used directly in the fish tank, or the fish will be injured or killed because of a long time exposure to ultraviolet radiation!